I think we can all agree that the Mass Effect games were just freaking awesome. Really, everything was neat: the graphics, the sound, the dialogue, combat (at least in part two and three), the ship…alright, not everything was awesome. Some lines were cheesy, some weapons redundant and the whole story was just so cliché and boring. Wow, wow! Calm down! This is my blog, and on it I can say that the story of ME wasn’t that great. Really, don’t be so shocked and take a closer look at it. If you just look at the plot, it’s nothing special or new. It’s a typical tale of a hero who rises to the challenge of saving the galaxy, facing all kinds of really big threats (like over-enthusiastic fan boys). The narrative doesn’t do anything refreshing or daring, and is filled with material from a first-year college course on cinematography. So why do I praise these games then? Well, it’s because of the characters and how they make the story damn awesome! It’s Wednesday once again, and you know what that means! Indeed, it’s time for another installment of Geek Jitsu, where I teach my readers the art of staying healthy while staying geeky. In today’s episode, we’ll discuss the thing that will keep you going during your drastic change of lifestyle. No, that’s not the protein shakes you’ll be popping or the pictures you will be taking of your ever-shrinking belly, but the same thing that gives Hal Jordan his superpowers: willpower (forget about the damn ring, it’s all a matter of wanting to shoot green beams of power)! While you wait for the next edition of Geek Jitsu, here’s a fantastic infographic about workout nutrition. Bookmark it and use it! Well, spending a day sick at home can be useful, it seems. After a day long gaming session, my brave Bokuzen finally reached the level cap. All that endgame stuff can wait, though, ’cause my bed is calling me. Today’s Geek Jitsu will be posted a bit later, but it will be there! 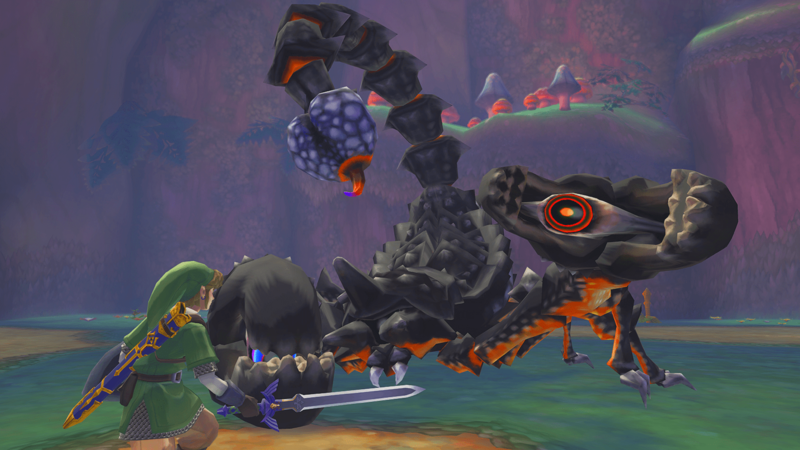 To honour these challenging encounters, I’m counting down my top three boss encounters from video games. So make sure you have enough health potions and that your save file is up-to-date, we’re facing the big ones! Phones are no longer just devices to call one another. Wait, that’s old news? Well excuse me for trying to find at least some way to start this post. Psh, grumpy little readers. Alright, let’s get to the point then: I got an Ingress invite, and I want to tell you about that. You happy now? Anyway, Ingress. Yep, the ARG developed by Google has reached my smartphone as well, and after a dozen crashes (which are the fault of my phone), I was able to complete the tutorial and join the Enlightened (because it sounds cooler than “the Resistance” and green is awesome). So far, it looks like a nifty little game, which my phone doesn’t allow me to play. Fortunately, I should be the owner of this little beauty by the end of the week, so then I will hit the town and paint it green. It looks like a somewhat more innovative ARG so far, but I’m curious to see how it plays out. According to the Intel map, my hometown has quite some Portals which are fought over bitterly. I’m eager to join the fight!